I am often asked this question by readers: where do you get the ideas for your novels? I answer this question by saying I don’t just sit at my computer all day and pull ideas out of thin air. The ideas originate from living life as fully as possible. I am interested in the people and places around me. I pay attention. I observe with all of my senses. Reality gets mixed with imagination in my writing. I am also a voracious reader as are many other authors. I read a great variety of books, magazines and newspapers. I read both fiction and nonfiction. Reading stirs imagination. 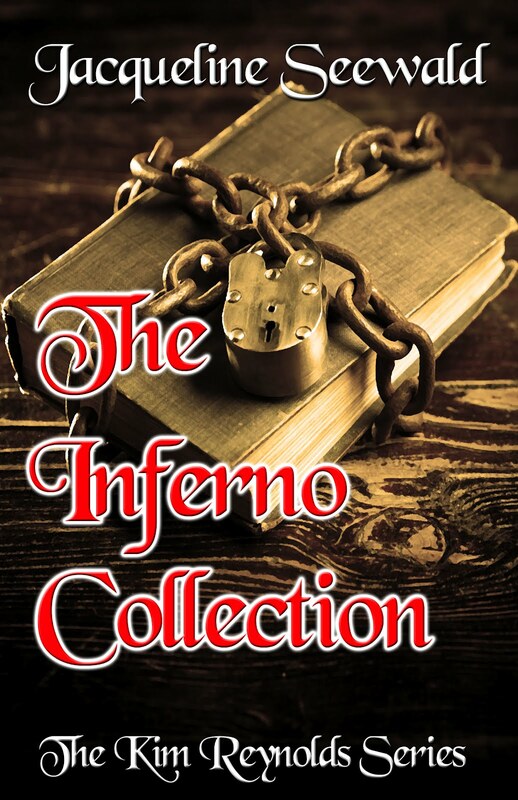 When a reader/reviewer of the novel asked if inferno collections actually exist, I responded that not only did they exist in the past but still exist in more sophisticated and subtle forms today. I am not saying that we should anticipate a burning of the vanities as with Savonarola's followers in the past, nor do I believe as in Ray Bradbury's Fahrenheit 451, that the firemen of the future will feel compelled to burn and destroy books. It is a fact, however, that librarians have viewed themselves as gatekeepers. 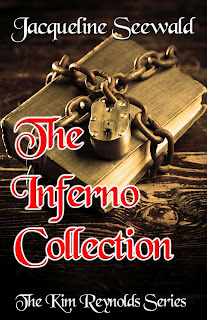 For example, libraries such as Boston Public at one time found it necessary to maintain separate inferno collections of banned books considered inappropriate for general public display and reading. Often these were books deemed salacious such as James Joyce’s Ulysses. Did narrow attitudes end with the Victorian era’s sensibilities and prejudices? Apparently not. In the 1950’s, Senator Joseph McCarthy instigated one of the most notorious waves of censorship the nation has ever experienced. Because of McCarthy’s ‘Red Scare’, classics like Henry David Thoreau’s Civil Disobedience, which encouraged men to peacefully protest unjust laws, was pulled from the shelves of the State Department’s overseas libraries. It was one of more than 300 titles McCarthy had banned or burned. J.D. Salinger's 1951 classic coming-of-age novel, The Catcher in the Rye, has been the object of challenges nationwide for decades because of its language, references to violence and sexual content. According to the American Library Association, the book was the 13th most frequently challenged book in the country's school systems from 1990 to 2000. In 2005, the Metropolitan Library Commission of Oklahoma City overruled recommendations made by library staff and established a special collection of children’s books with gay themes. The collection would be accessible only to adults. The Oklahoma debate began when a state representative worried that children would have access to books about gay marriage and sponsored a resolution to segregate all library books with gay and/or adult themes. The list of “condemned,” banned or censored books boggles the mind. It is not only governments and libraries that have chosen to ban books found objectionable for various reasons. Materials are often deemed unacceptable for political or religious reasons or are considered profane, pornographic or sexually too explicit for youth. Publishers and booksellers make these decisions and determinations as well. The advent of e-book self-publishing has tipped the balance in that regard. Today the internet is a largely unrestricted location to find information, including the subject of banned book collections. As to inferno collections, are they a thing of the past? Knowing human nature, it’s doubtful. As a reader and/or writer, what trends do you find interesting in publishing? Do you see banned books as a thing of the past? What ideas or information inspire you to write? What do you enjoy reading? Your thoughts and opinions valued here in this forum for open discussion! Note: To celebrate the February 2012 large print edition of THE TRUTH SLEUTH from Kennebec, division of Thorndike Press, as well as the February 2012 paperback edition of THE DROWNING POOL from Harlequin Worldwide Mystery, I am offering a paperback copy of The Drowning Pool to a commenter. Leave an e-mail or web address if interested. Winner will be drawn at random and announced next week here at Author Expressions. HAPPY VALENTINE’S DAY! I admit to being a romantic at heart. That’s probably why my mystery novels always have a romantic element in them. Valentine’s Day is also the anniversary of my older son, Andrew Seewald, who is an attorney in New Brunswick, NJ. He and his wife met as grad students at Rutgers University. They were married before a judge on Valentine’s Day in 2003. My husband and I were their witnesses. After a brunch at a local hotel, bride and groom drove a hundred miles so Andrew could defend a client in a courtroom in another town. They finally got a honeymoon several months later. It made no difference; they were and are very happy together. 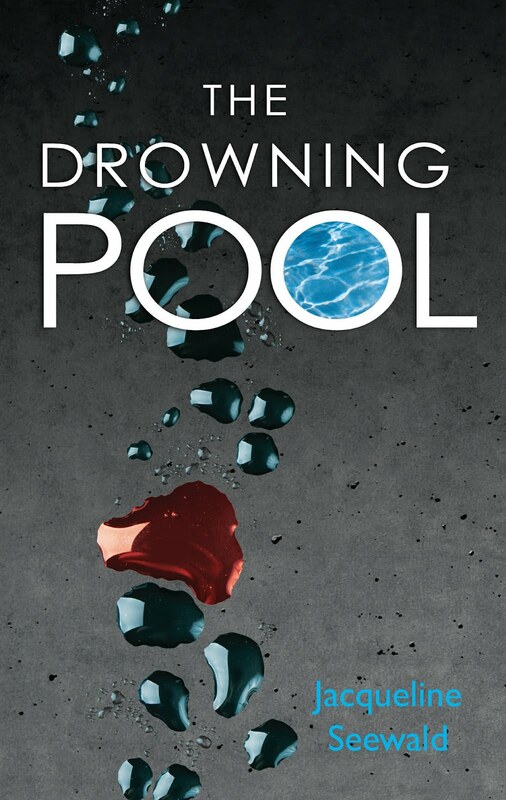 For those who didn’t win this time, please know that THE DROWNING POOL is available in many libraries, and also in all e-book formats as well as the new Harlequin edition. Also, my mystery novel THE TRUTH SLEUTH is now available in Thorndike large print as part of the Kennebec Superior Collection: http://thorndike.gale.com/upload/currentcatalogs/2012%20Feb%20Catalog.pdf (page 30) Hope you will ask your local library to order a copy! Have a chocolate heart today and celebrate romance with a good book! Judge a Book by Its Cover? Does cover art draw readers? Any savvy writer will tell you that the first thing a reader notices about a book is the front cover. Maybe you can’t or shouldn’t judge a book by its cover, but it sure helps to have an attractive one that draws the eye of the reader. For new fiction authors, cover art can make or break the book. What kind of front cover grabs the reader’s attention? What kind of cover art should a book display? Probably the first and most basic question to ask: is the book going to be sold on the shelf of a bookstore or is it going to be available only online? Is the novel going to be a hardcover, trade, paperback or e-book? Yes, it really does make a difference! With hardcover fiction books, the cover also needs to fit the genre, be attractive, while the title still needs to be easy to read. THE TRUTH SLEUTH in hardcover is now available in large print from Thorndike/Kennebec and can be requested at libraries as well as Amazon and B&N online. 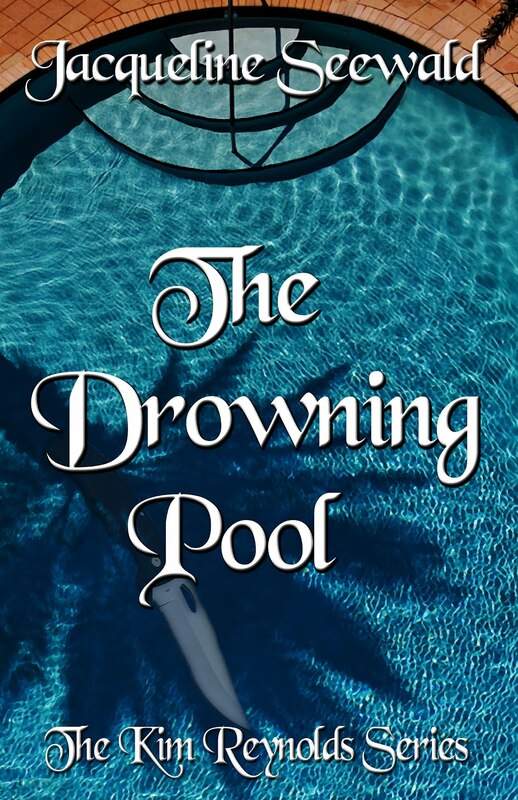 It’s the third novel in my Kim Reynolds romantic mystery series. The cover art fits the plot of the novel perfectly. Five Star/Gale does respect input from its authors. For my upcoming April release from Five Star, DEATH LEGACY, I didn’t like the initial cover art. I explained my reasoning. Our editor came up with something much more appropriate. The same thing happened with TEA LEAVES AND TAROT CARDS. I explained that the woman in the period costume was dressed in Victorian style. However, the novel is set in the Regency era. I requested an immediate change in the cover art, and it was done. Mystery or thriller novels are often dark and boding in appearance, appropriate to that genre while romance novels in hardcover often have flowery lettering and show an attractive man or woman. There is often a “money” quote on the front of hardcover books. This can be a blurb provided by another author or a partial review from a publication. It should offer praise for the writer’s work. To celebrate the February 2012 large print edition of THE TRUTH SLEUTH from Kennebec, as well as the February 2012 paperback edition of THE DROWNING POOL from Harlequin Worldwide Mystery, I am offering a paperback copy of DROWNING POOL to a commenter. Leave an e-mail or web address if interested. Winner will be drawn at random and announced next week on Valentine’s Day. Nothing can quite compare with the yearly ritual of holiday shopping, which theoretically begins on the day after Thanksgiving, Black Friday. However, in actuality it begins much earlier, of late right after Halloween. In fact, the way things are going, pretty soon the stores will start putting up tinsel on the 4th of July. The frenetic pace of shopping madness increases unabated throughout December. The shopping itself takes on such dimensions that with many people, the material supercedes the spiritual aspect of the holidays. But before the shopping can even begin, there is the business of finding parking at the Mall. Holiday shoppers know when they are nearing the Mall because traffic becomes as thick as an ant colony, and jockeying for position starts in earnest. Inevitably, a type "A" personality loses patience and aggressively pulls out on the shoulder of the road, speeds ahead, then forces his/her way into the regular stream of traffic. This individual manages to gain perhaps four or five car lengths to ultimately beat the traffic light, forcing other drivers to slam on their brakes and come to an abrupt halt. A cacophony of horns proceeds to announce the general agitation. Arriving at the mall, one is treated to a breathtaking sight—an unending sea of automobiles. There is quite literally not a parking spot to spare. And so begins the art of cruising for a space. This can be compared to the choreography of a ballet. Automobiles pirouette and arabesque around the lot. Inevitably, there is a car waiting in each aisle for someone to pull out. Often there are two vehicles set to swoop down like vultures. The poor driver who must pull out of the spot has a serious dilemma: which way to go? One or the other of the waiting drivers must be disappointed, only to drive off angrily, perhaps offering the middle finger salute. Definitely not showing proper holiday spirit! (More like the gunfight at Okay Corral) Drivers keep cruising, ready to dive like kamikaze pilots when they find a likely target--barely avoiding fender benders--a holiday miracle in itself. No matter how many spaces exist, there are never enough. Another technique involves following those who are leaving. Sometimes these shoppers are merely putting away their packages and return to the Mall for further exploration. Then there is the individual, fully aware someone is waiting for his/her parking spot, who decides this is a good time to sit and light up a cigarette, fiddle with the car radio, or begin a philosophical discussion on the meaning of life with someone they've conjured on a cell phone. Most amazing of all are those who decide to grab the closest parking spot. I'm talking here about nabbing the spaces set aside for the handicapped. These artists fall into several categories. First are those who have no physical impediment whatsoever but park illegally because they don't want to continue cruising. We have no trouble spotting them as they run out when the police start ticketing. The second category: those who somehow obtained handicapped stickers yet can move like gazelles, either had some impediment but are over it and kept their stickers, or obtained them illegally in the first place. There seem to be a growing number of these talented artists who we may refer to as prima donnas. With so many people claiming the right to place handicapped stickers in their automobiles, I am waiting for the time when non-handicapped signs will be issued instead. After managing to obtain a parking spot and reaching the Promised Land of the Mall, we are greeted by a chorus of Hallelujah from the sound system. Unfortunately, by this time, we are almost too weary to shop. When Christmas and Chanukah come and all the gifts are finally handed out, matters are not in the least resolved, as a good portion of those gifts will end up being returned soon after. (The heaviest shopping day of the entire year is December 26th) So just when we think our holiday shopping is finally done, it's only just begun! Then there's the matter of re-gifting. That's the most bizarre ritual of all. This refers to presents that don't come with any clue as to where they were purchased. Even Sherlock Holmes would scratch his head in perplexity. These are gifts that no one in their right mind would want to keep: purple plaid socks, perfume that would make a skunk turn up its tail in disgust. Well, you get the picture! So what does one do with such odious presents? Naturally, we save them and give them to those who have given us their re-gifts. You know you've gone full cycle when one of your re-gifts is gifted back to you. What are your feelings regarding holiday shopping? Do you give books as gifts? Thoughts and comments welcome!